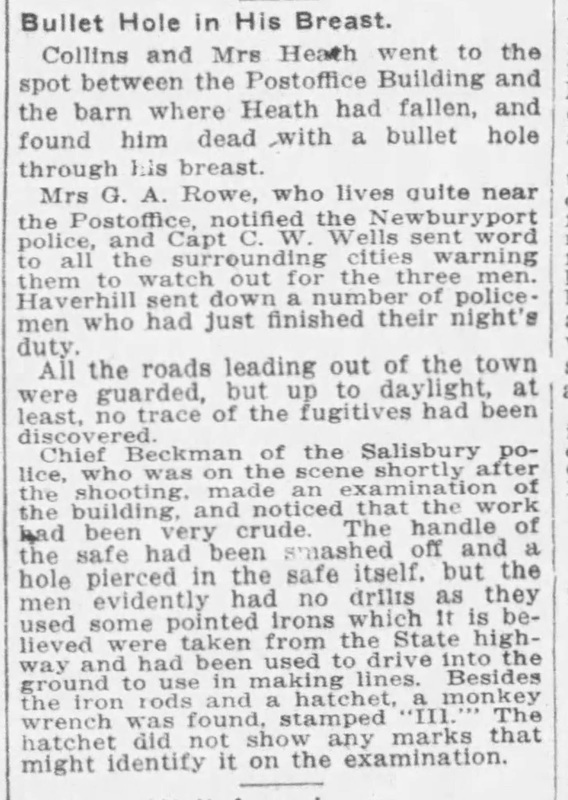 I found articles on the incident and the following report was written by author and historian, Ronald Guilmette who recently published two books on Civil War soldiers who served as the first Massachusetts State Police--Below to Guilmette's book "First to Serve"I added some more information in the genealogy section of the report. 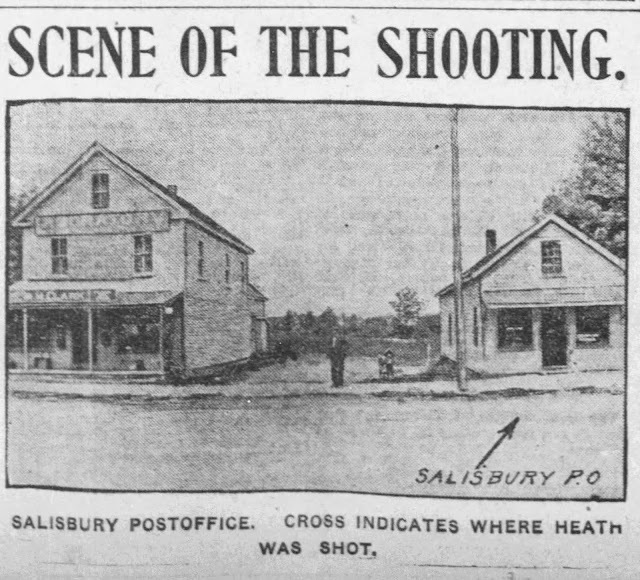 Constable and Special Police and former Police Chief Willie W. Heath of the Town of Salisbury, Massachusetts was shot and killed in the line of duty in the early morning hours of October 9, 1913 in Salisbury, Massachusetts. Constable Heath, was responding to a burglary in the town post office and was shot and killed. 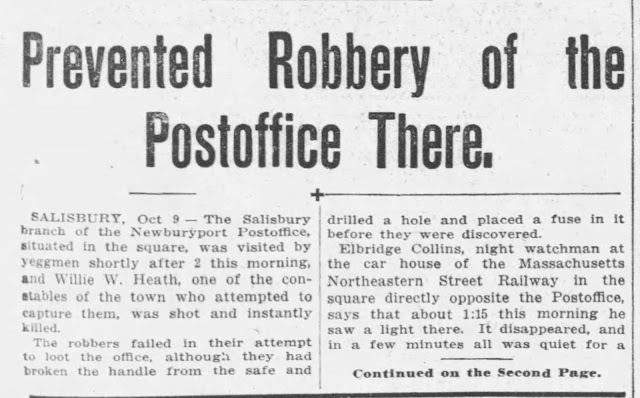 According to newspaper reports of the day, he was the only officer in town with a telephone and he received the early morning call from a night watchman at the Massachusetts Northeastern Street Railway Station who saw sparks in the post office and assumed, correctly, that some "Yegg-men" were trying to break into the post office safe. 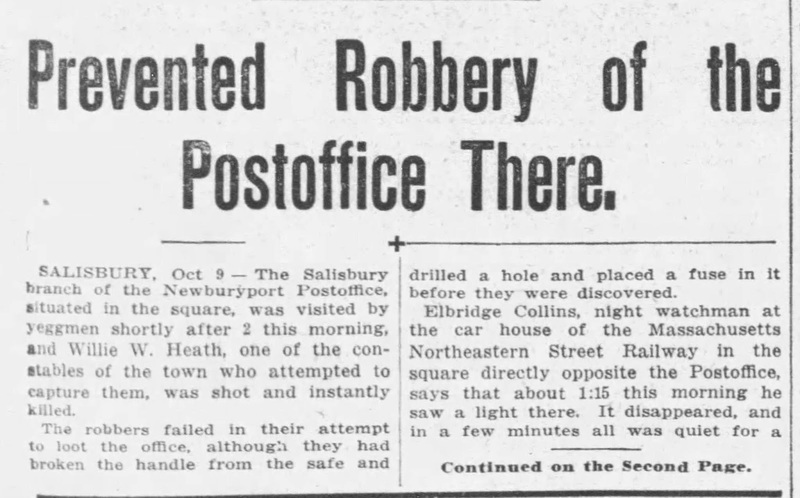 The Salisbury Post Office had been the location of two previous burglaries. 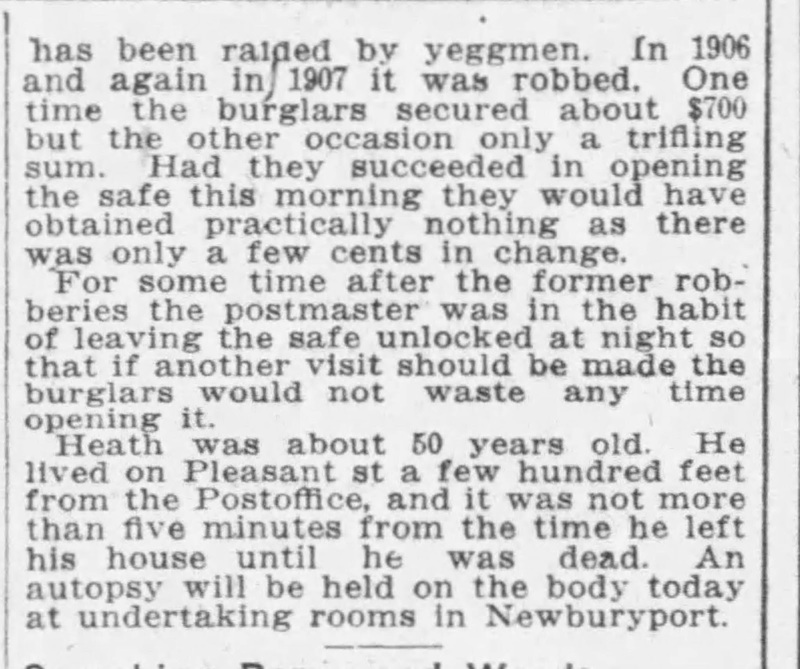 Constable Heath grabbed his “Billy-club” and met with the night watchman and together they went to the post office and were confronted by a lookout who shot at them. 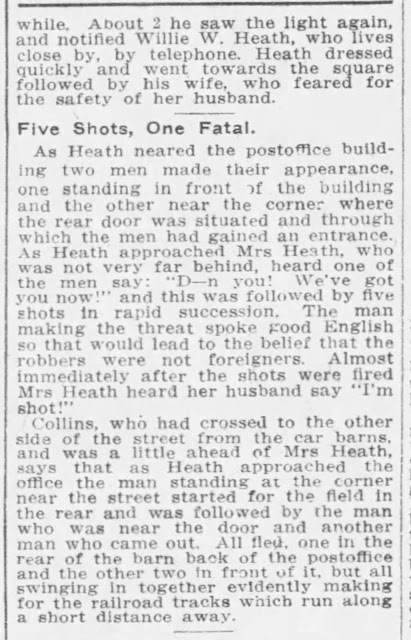 Heath became enraged at the thought someone would shoot at him so he charged the individual and a volley of shots rang out and Heath fell dead. 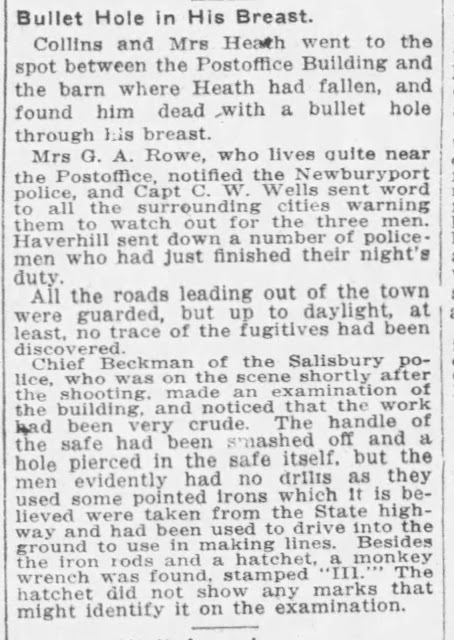 A manhunt ensued for three suspects that night by area police and roadblocks were set up in Amesbury and Haverhill but the suspects were never captured or brought to justice. Heath's body was taken by horse and buggy to his home on Pleasant Street in Salisbury and the Medical Examiner was summoned to the house and an autopsy was ordered. 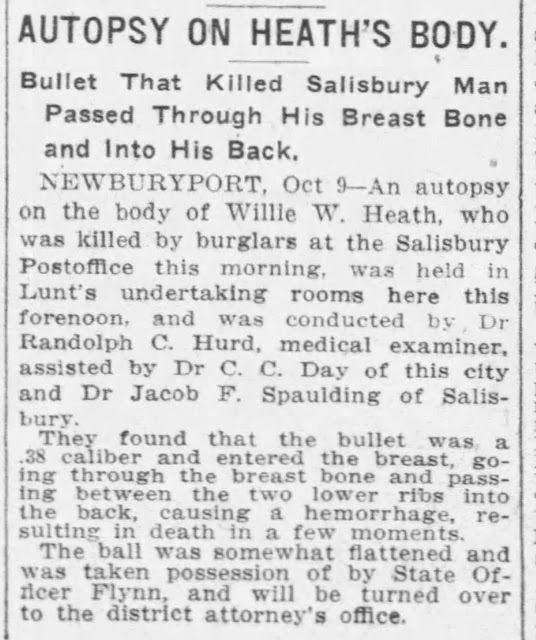 Dr. Randolph Hurd performed an autopsy in Newburyport the same day and issued the cause of death as, “Bullet Wound of chest: homicide.” Occupation listed as Motorman and Policeman. His wake was held in the family home on Pleasant Street and he was later buried in Cutter Cemetery in East Jaffrey, New Hampshire. 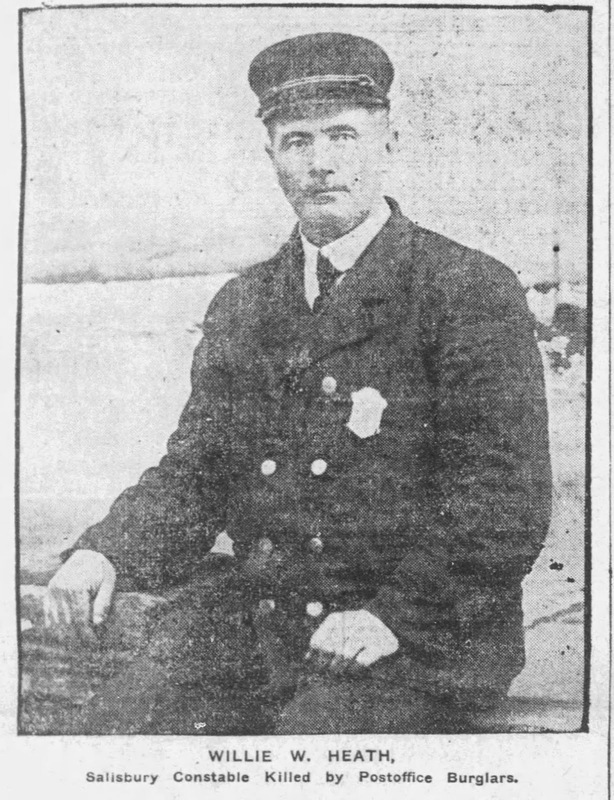 Willie W. Heath was born in Stanstead, Stanstead County in the Province of Quebec on March 4, 1857. 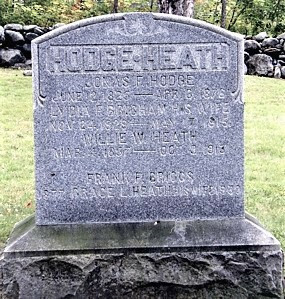 He was the son of Josiah S. Heath (1834-1913) and Annie Jane Quinn (1836-1871) and grandson of David Heath and Rhoda Merrill. Willie was listed as the co-proprietor of the Granite State Hotel in Jaffrey, NH where he kept a livery stable, the Everett House in Wilton, NH and later ran the Eagle Hotel in Haverhill, MA. October 9, 1913 – Willie W. Heath shot and killed in Salisbury, MA. 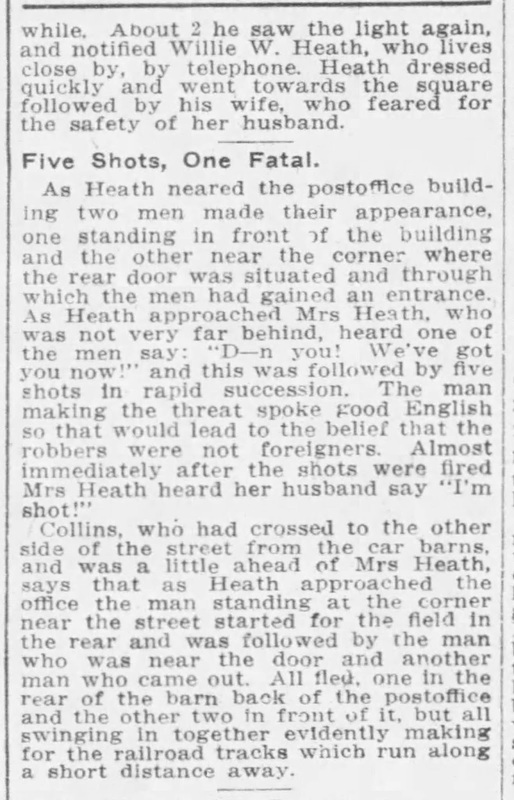 October 12, 1913 – Services held for Willie W. Heath at his home on Pleasant Street. Reverend Jacob F. Spaulding, Pastor of Hope Chapel at Salisbury Beach, officiated with other area Ministers. 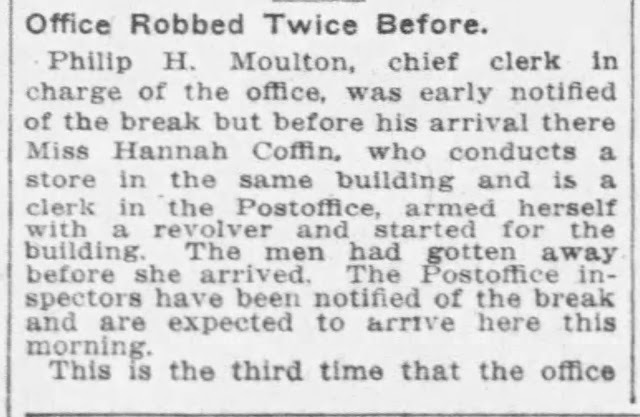 Singing was done by Mrs. Pettengill. 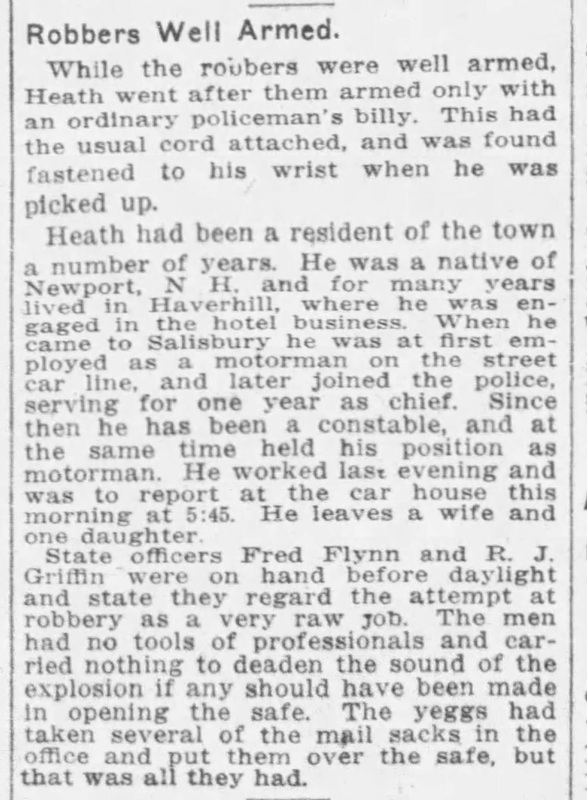 Willie Heath’s body is removed to Cutter Cemetery for burial. 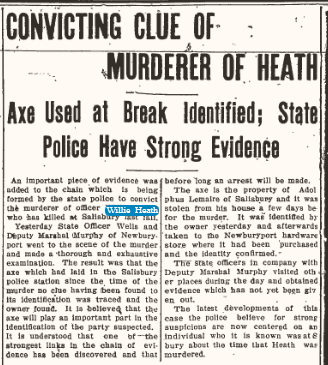 October 16, 1913 – Governor Eugene Noble Foss and the Massachusetts Legislature appropriate $500 Reward for the arrest and conviction of the murderer of Willie W. Heath – No arrest was ever made!